Box art for a virtual economy. 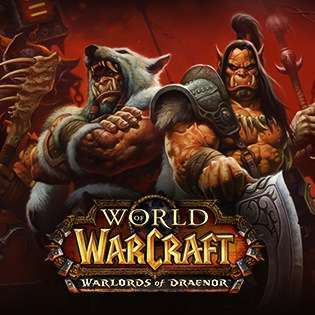 You may have heard of the popular computer gameWorld of Warcraft (WoW), which recently released its fifth expansion, which adds more quests, dungeons, and other content, in November. WoW has over 10 million players and there are few signs of this slowing down, which is impressive for a game originally released in 2004. What you might not have known is that there are complex economic and social structures in place everywhere in the game. But do these systems mirror real life in any meaningful way? I’d argue that making profit in WoW’s auction house reflects on one’s understanding of a free market since it employs similar principles. One Manhattan College professor recently likened playing WoW to a religious experience since it “tests a person’s’ ethics and values, and also gets them to think about things like environmentalism and moral issues.” I’m not sure if I’d attend a WoW church service, but the game is a great example of a virtual economy and being kind (or unkind) to your neighbor. In addition to many of the challenges that real-world economies face, WoW’s economy has other complications. The amount of USD introduced into the U.S. economy is controlled by the United States Treasury and the Federal Reserve. In WoW, however, the amount of gold that goes into circulation is determined by our players’ behavior. Every monster that is killed, every quest that is completed, creates more fresh currency that is added to the economic system. Gold is taken out of circulation not by a central bank, but by how much our players choose to interact with NPCs (Non-Playable Characters) to purchase various items and services. As the primary way to make virtual gold, the auction house is an all-out free market with few restrictions. Players sell goods like crafting materials, pets, gems, armor, and weapons that other players need. Items are posted for 12, 24, or 48 hours at a time with varying deposit costs depending on the quality of items being posted. These deposits exist to deter too many trivial auctions. Big ticket “epic” items that are more powerful fetch significant amounts of gold, and undercutting is the name of the game for selling items quickly. Supply and demand is in full effect on the auction house, and items that players use often are more liquid, especially as player population increases. Player population in WoW is a great example of the benefit of increasing a market’s size and encouraging more people to enter a market. If you want to find an audience for your goods, simply having more people is the best things one can do to improve that chance. WoW bluntly shows us how population control is detrimental to everyone in a free economy. What happens when people stop playing WoW and don’t participate in the virtual economy? Each person serves a purpose in this puzzle. Christianity tells us that the human person (even one playing a computer game), created in the image of God, is individually unique, rational, the subject of moral agency, and a co-creator. Players of WoW have intrinsic value, both as people and creators of its virtual economy. Having more players means more opportunities for everyone and a flourishing virtual market. Populations in WoW are a quaint example since the controlled gold supply guarantees everyone will have some, but it also shows the good of having access to important in-game items with an active auction house. I used to play on a WoW server with thousands fewer players, and important items were simply not available at normal prices due to price gouging by the few suppliers. On a very populated server these issues disappear and those with less gold find common items more affordable due to market competition. As you can see, this one system provides an interesting outlet for players to practice free market economics in a mostly harmless environment. If you have some time on your hands I’d recommendWorld of Warcraft as a fun way to do some virtual value investing. David Lohmeyer is the Web Coordinator at the Acton Institute, where he designs and programs Acton.org, the Acton PowerBlog, and Acton University. He's been building for the web since 1999, when scrolling marquees, blinking text, and Comic Sans were standard practice.